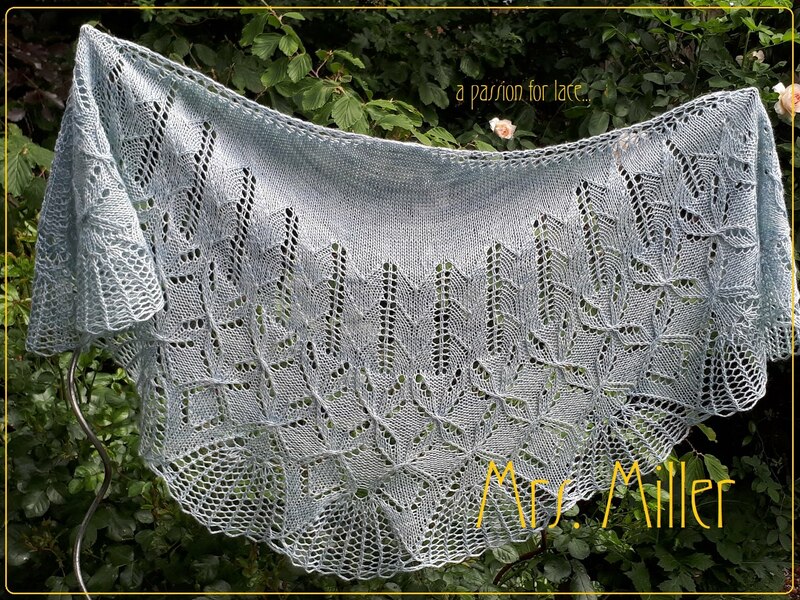 Someone in my friends list on Ravelry send me a message that there is a mention of a lace shawl in the Jamieson & Smith group. 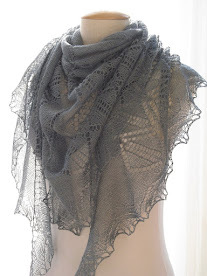 They are trying to find out which shawl it is and if it is possible to recreate it. 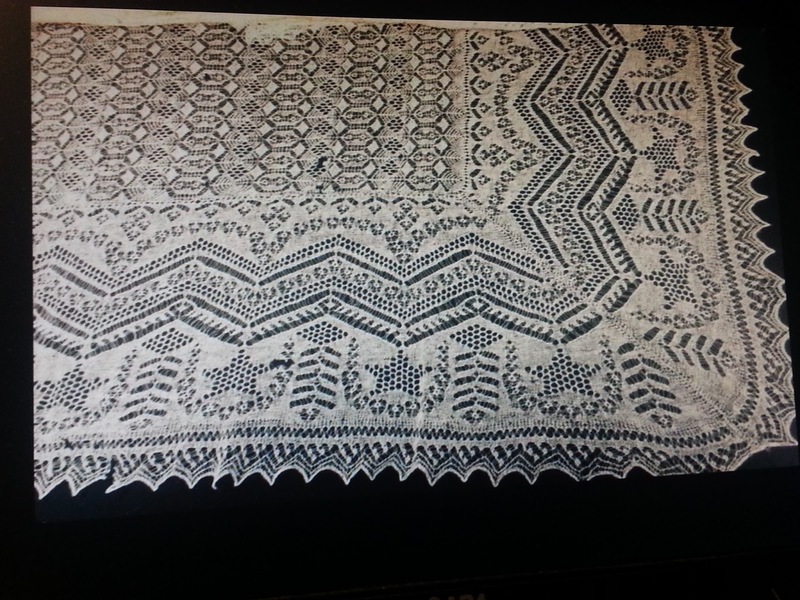 I’ve seen a similar lace shawl in the movie A Royal Affair. Couldn’t make it out either. After watching the credits I tried to find pictures of the costume designers collection, but it wasn’t there. This was my first step into a very large and interesting project. I didn't know if any of my experience would be needed, but I stuck my nose in anyway. 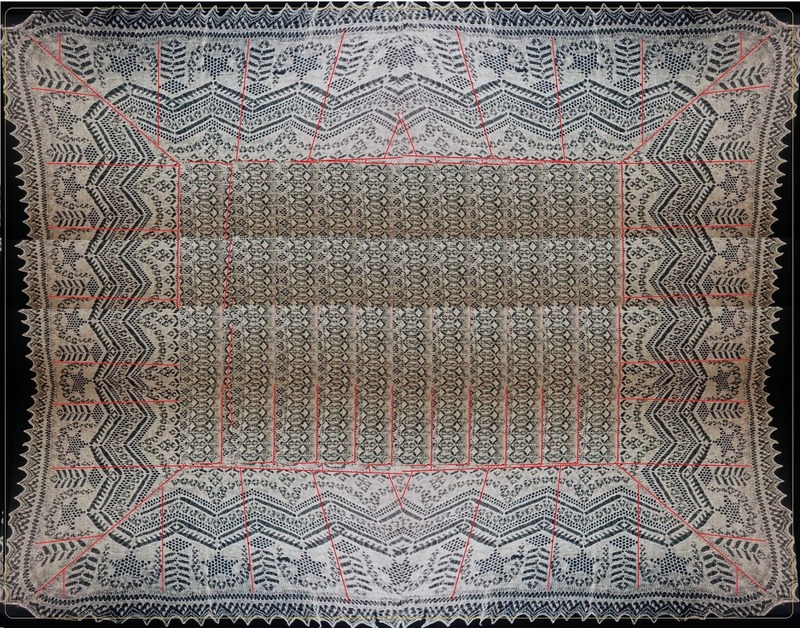 After some searching we could make out the centre pattern and did some 'cut & paste' to get something going. In the meantime I tried to find out more about the show. "Outlander". Low and behold, it was on the tv in Belgium, Friday evening. Watching the show. I see a LOT of tweed. It's gorgeous. Sorry to say the story is quite 'slow'. I haven't read the book(s), but I do love the surroundings and scenes shot in Scotland. Together with Laura and DominiqueBe we look at swatches and compare them with the screen shot. Now what? 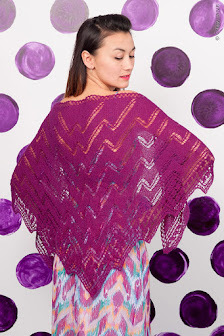 Am I diving in head first and make an entire (new) shawl? Or do I help with developing? 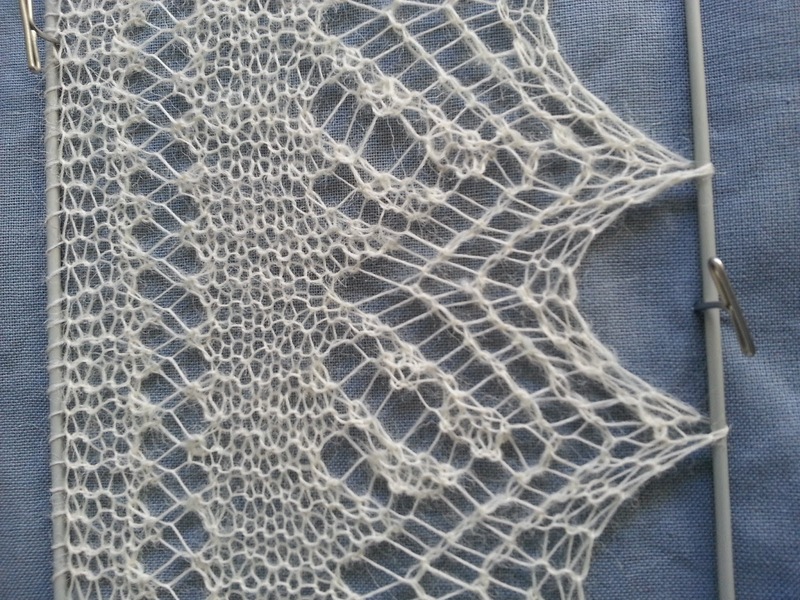 Ordered some yarn, Mohair- merino and thought that if I started with the centre pattern, the rest would come later..
Because we couldn't find a good screenshot of the entire shawl, when the camera zooms out, the lace gets 'lost'... , this was all we had to go on. 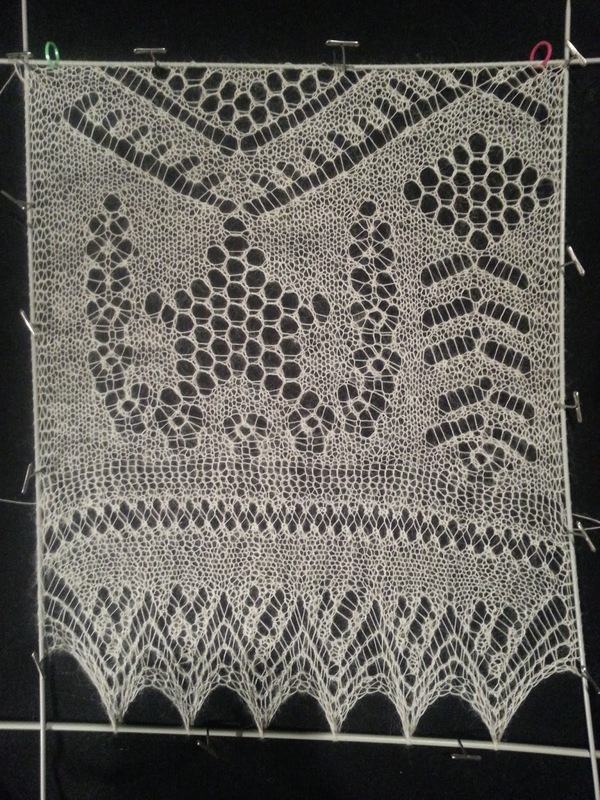 Laura tried to get a better view of the shawl. The episode didn't air in Belgium, due to the summer break. A friend, Belinda, helped out too with vidcaps. They tried to freeze the frame and save that image. But it was only enough to see a pointy edge. Made another swatch. It didn't go well in the end, but it looked better already. I thought it was a bit tight. The birdseyes in the top were NOT like in the screenshot. The yarn came in and I started right away. Calculations were close enough to get things going. 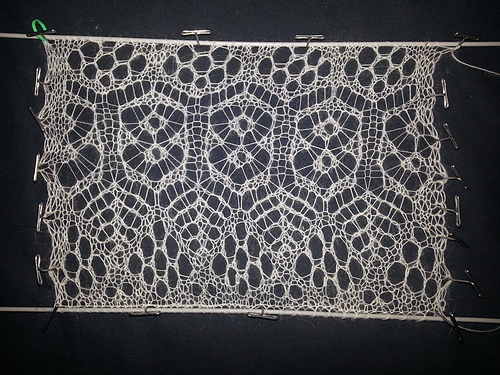 You can see by the size of my hand, this wasn't "Delicate" lace at all. I put it aside and took some grey yarn with a finer gauge and started over. I was a bit hesitant. Should I get involved in such a big project? I got as far as with the mohair.. This was much finer, but I wasn't happy with the colour... 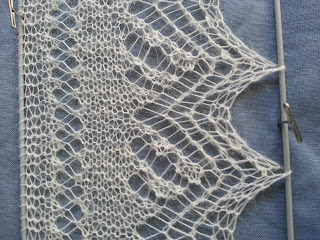 I thought that a Shetland shawl should be made in Shetland yarn. Belinda has a better screen shot. 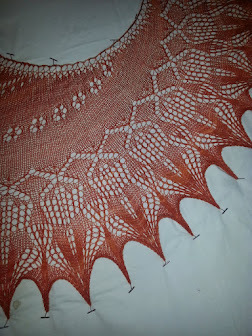 Now I can see the size of the shawl. She's wearing it double and it still is sheer. KathyMary suggests (as others have in other threads) to make contact with the costume department. I'm hesitant, someone else has tried it. And didn't hear back. Tweeted Terry Dresbach (the costume designer for the Outlander Series) and asked about the shawl. it's an antique piece I found. may I be as bold and ask you if you still have it? we, a knitting group on Ravelry, are trying to recreate it. that would be brilliant! thank you. No rush #relief. Oh my! It is happening! Oh no!!! This is SOOOO unexpected. It's GORGEOUS! Look at those stars... The arches.. This is a whole other ball game! I thanked Terry and told her this was all we needed. All doubts melted away. 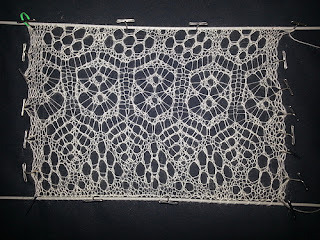 This was an awesome chance to get some Serious Lace done. I'm in! 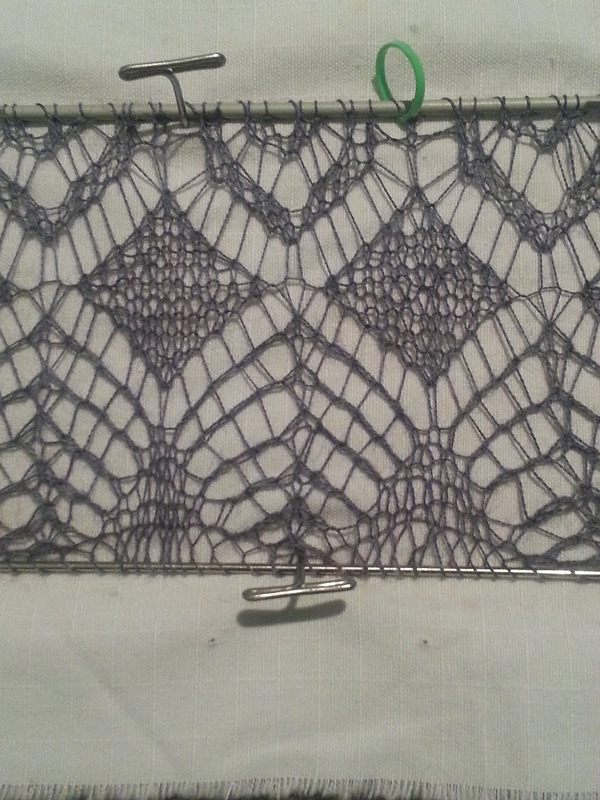 So... Swatching began AGAIN. Making whole new charts. Calculations.. This is big. 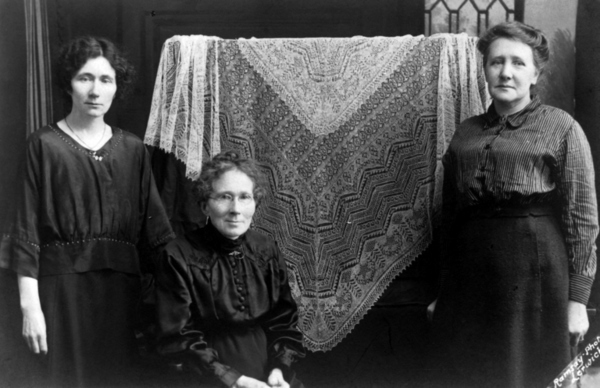 I even found a picture of some ladies posing with a similar shawl. The border is much wider, but the stars are the same. And you have a good indication of size too. Conclusion 1: the shawl is an antique. That means it is handspun. That means that I will have to use very fine yarn. Gossamer at least to make the size similar. 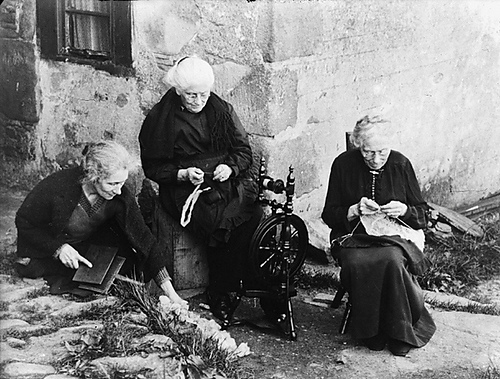 I can spin, but not as fine as the Shetland ladies back in the days. 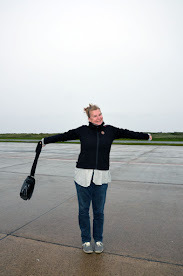 Conclusion 2: Not everyone will make a shawl this size! 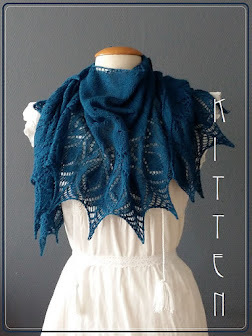 I will have to make alterations in the pattern so one can choose to knit a rectangle shawl with the same patterns / parts. This way, it's available for more people. 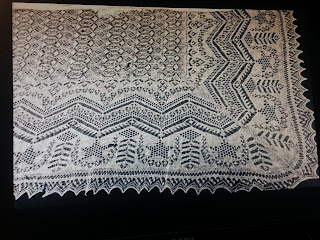 Later that day, Dominique send me some pictures from the Museum of a shawl with stars she saw on display. 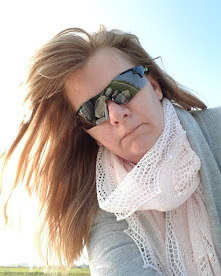 The coin dropped and I viewed back my archive and yes: I've seen the same shawl. There are similar components, but spacing is different. But it never hurts to have a good close up. Charting is an ongoing process. 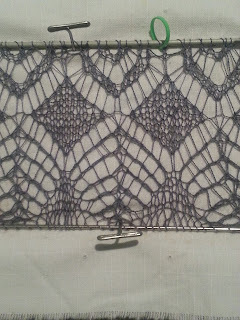 Even when swatching I made minor adjustments. But... it looked pretty close to the original. First: the edge. A little tweek here and there. The star. It needed just a bit more room. And the upside down flower needed some more work. 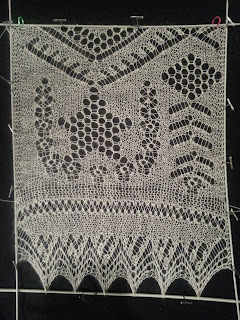 I had decided earlier that (especially) an antique shawl from Shetland, should be recreated with original Shetland yarn. 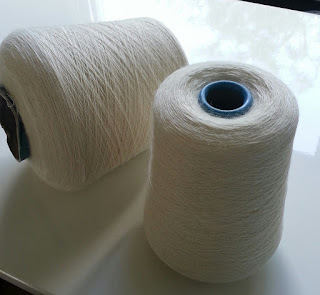 The only option was: 1/16NM Gossamer (1ply) Natural Jamieson & Smith yarn. 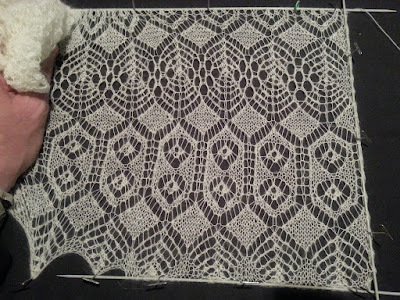 I'm working with 2mm needles (US0). I mentioned before that the original is handspun, so this is as close as I can get. 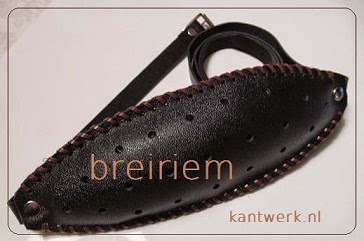 Calculations give me for the squared version over 500.000 stitches. The rectangle will have approx. 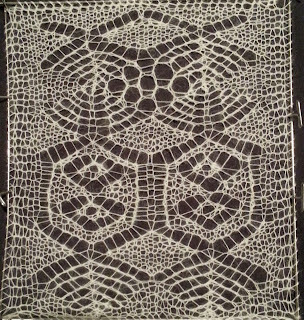 210.000 stitches. I can't tell you how large it will be, but my prediction will be around 6+ feet square. 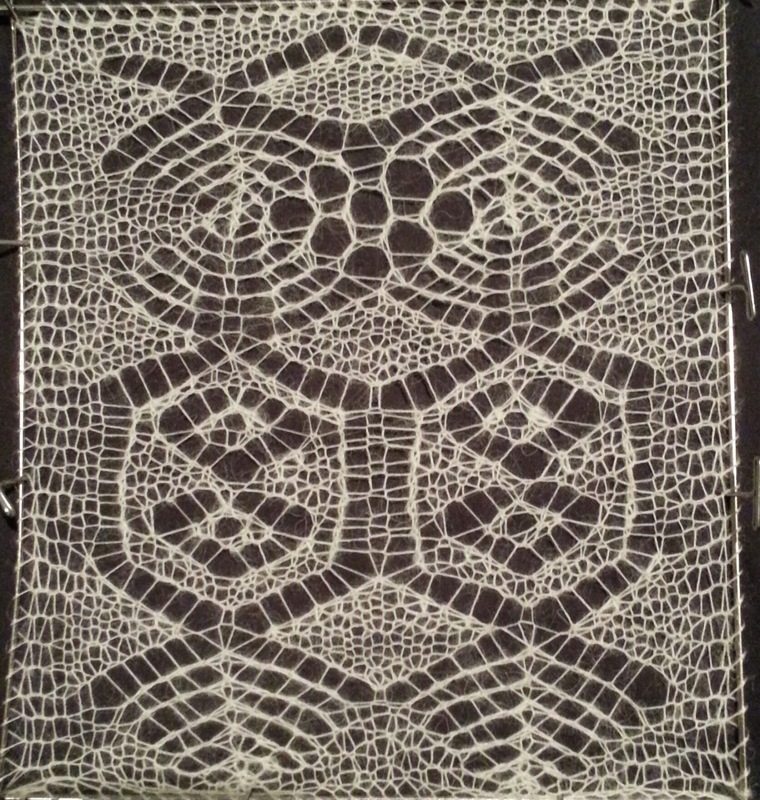 Casted on with the gossamer 1ply and worked the first border. 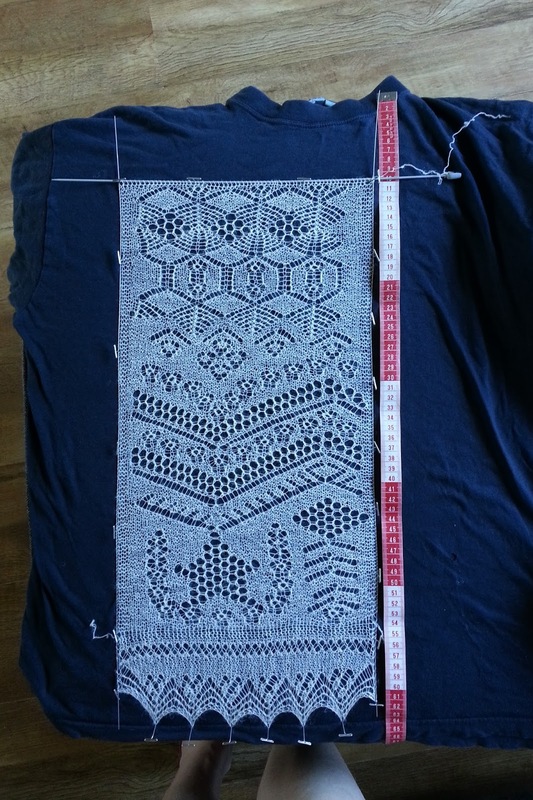 My dear test knitter Sue is working on the rectangle version. She's getting rid of all bugs and makes a perfect example for you to decide whether or not to knit the square or the rectangle. The yarn came in on 2 cones. It's approx. 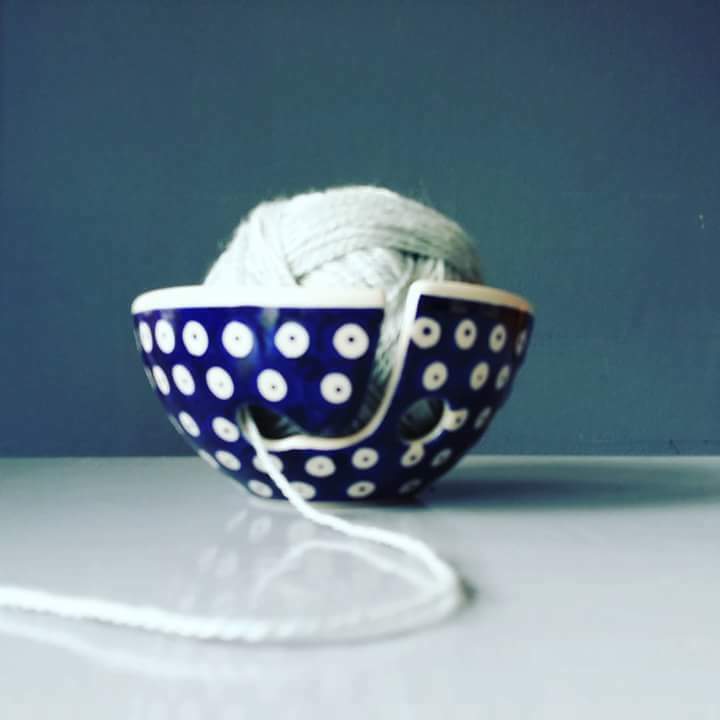 20 balls of yarn. That should be plenty. 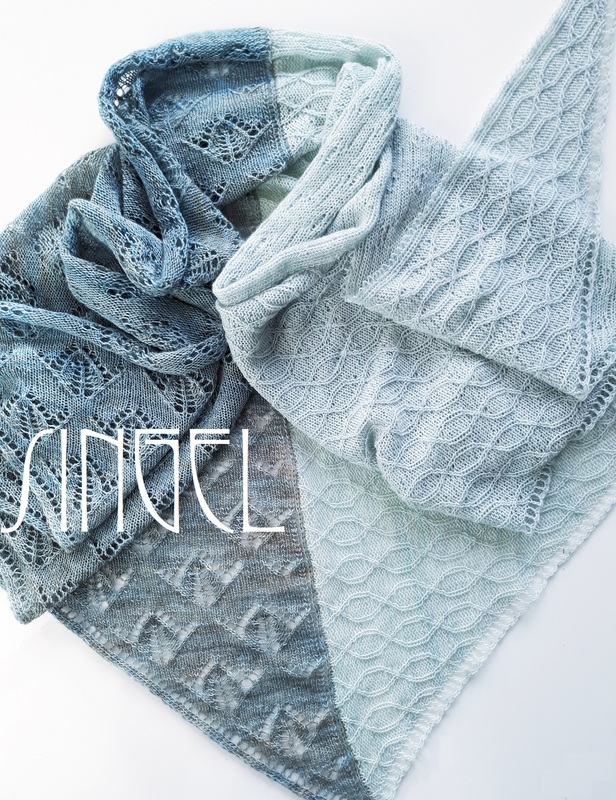 And you will be able to find it under a new name: The Shetland Star Shawl. 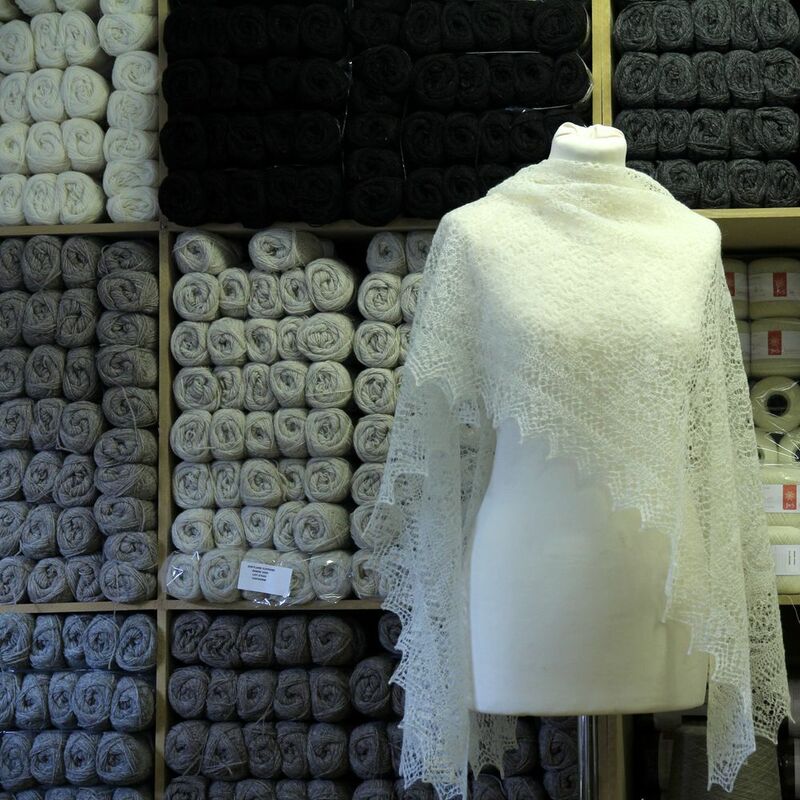 The ORIGINAL shawl has been purchased by Terry and is not specifically designed for the Outlander series. Ready for a cut and paste preview??? You are amazing! Look forward to seeing how this turns out! What a great journey, must be very satisfying once finished. I have to admit that reading all these stories one is very tempted to make one too! 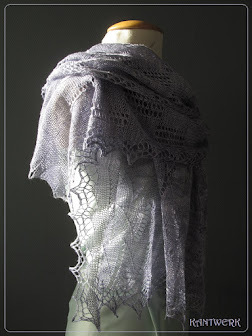 Totally Amazed by your research and processes involved in recreating this stunning shawl!!!!! 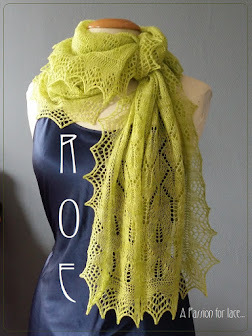 I bought the pattern and am looking forward to knitting this lovely design!!!!! Thanks again for sharing your creativity!!!! This is so very amazing! 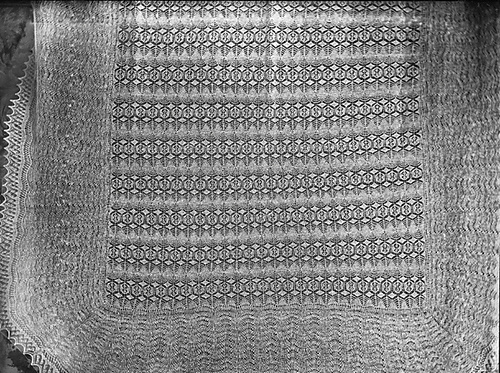 I found your project through Ravelry and I cannot tell you how impressive a feat I think the recreation of this antique shawl is. I had to share immediately in my blog. Thank you so much for your efforts. It is very much appreciated. Keep up the wonderful work! 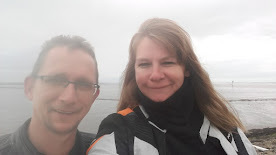 Ik zie deze blog nu pas. Wat een prachtig project en ik weet inmiddels dat je ook wel in staat zou zijn dit met jou eigen gesponnen wol te maken. 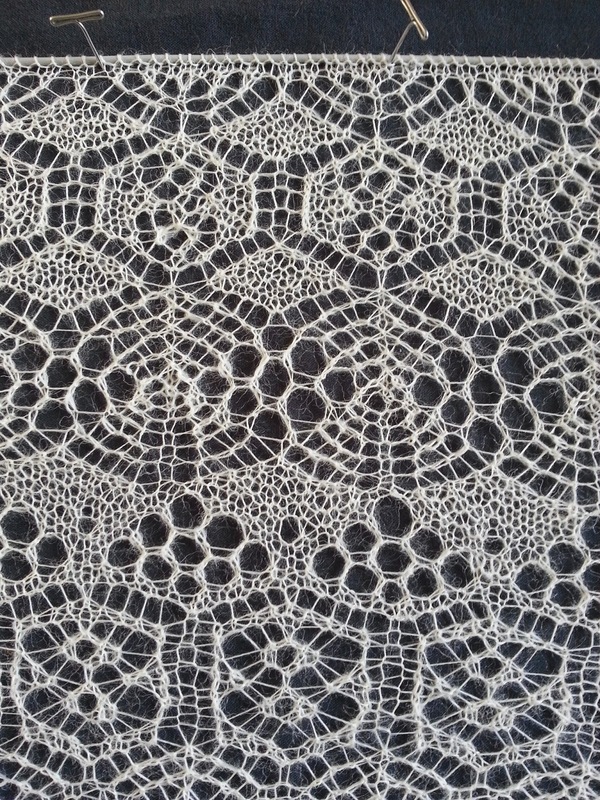 Momenteel ben ik bezig wat oude kanten Friese mutsen na te breien en nam een kijkje bij alle 1ply lace projecten, en kwam zo bij jou uit. 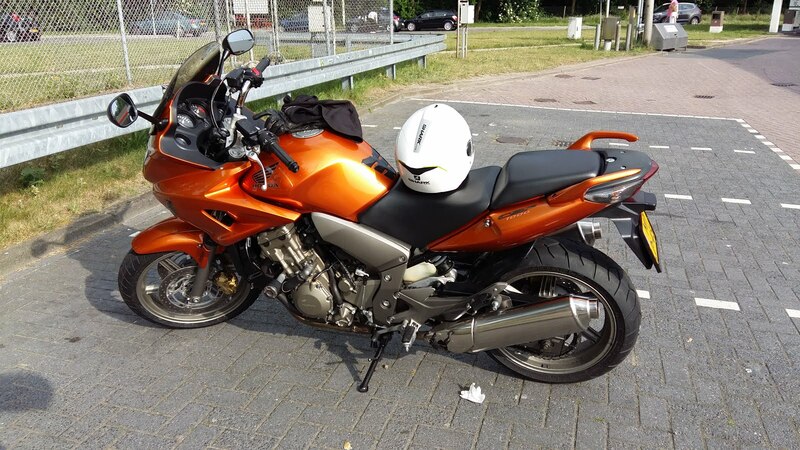 Wie weet ga ik deze ook nog wel eens breien, maar dan wil ik het garen ook zelf spinnen. 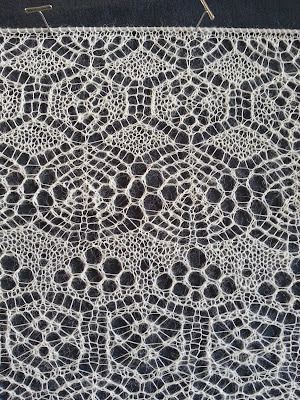 I came back to knitting 7 years ago just because I was inspired by beautiful lace knitting. 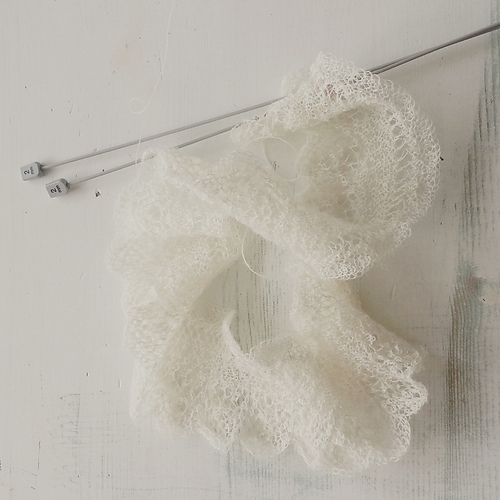 I watched your interview on Fruity Knitting and had to come and learn more from your website. Thank you so much for all you do for all of us. You are a gift to us.